I just got back from one utama. Haven’t been there nearly 4 years. Well when I went there today, the place had become really big that it took me about 45 minutes just to walk from end to end and that was just one level. While waiting for my mother to go shopping, as most guy do I went to watch movie. Well, I pick Warlords as it was on immediately and I haven’t watch it yet. The movie itself is quiet good. 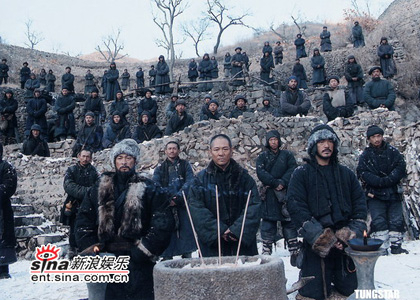 This time it is not all centered on Jet Li but rather on the 3 kingdom style of brotherhood. Even Jet Li didn’t show much kungfu and there are a lots of battle going around. The storyline overall is ok but I guess a lot is omitted. While waiting the opening to start, I watched one of the digi commercial which show the yellow guy vibrate. Quiet hilarious. Well, this is the first time I’ve been to cinema since mmm about 3 years ago. I wonder who create the yellow guy icon. Quiet genius. ok je. no prob. cuma kena edit pecahkan kepada 2. Ko patut letak gambar dulu baru isi.